Description:10G DWDM SFP+ compliant with C-Band DWDM Transceiver with 50GHz Channel Spacing. Up to 10Gb/s, Distance up to 40km. Description:10G DWDM SFP+ compliant with C-Band DWDM Transceiver with 50GHz Channel Spacing. Up to 10Gb/s, Distance up to 80km. This is a SM Single fiber module,the Data-rate of 1.25Gbps operation and the wavelength is Tx1550/Rx1310nm,maximum transmission distance is up to 3KM. 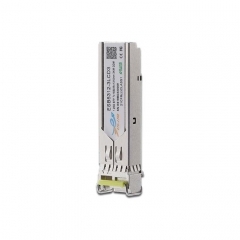 Description: 10G CWDM SFP+ compliant with ITU-T 18-Wavelength is avaiable. Up to 10Gb/s, Distance up to 20 km. 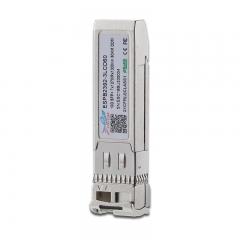 Description: 10G CWDM SFP+ compliant with ITU-T 18-Wavelength is avaiable. Up to 10Gb/s, Distance up to 10 km. 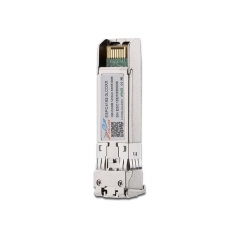 Description: 10G BIDI SFP+ for Single-Fiber Bidirectional, Up to 10Gb/s, Distance up to 40km.